UPS-500AD is completely fumeless and fuel-less and produces clean, safe and silent mobile power. It requires no electrical know-how to simply charge the unit via AC wall adaptor or 12V/24V Car charger and 12V~18V above solar panels . When power goes out for even a second it can result in data loss and hardware damage which can shorten equipment life expectancy.This battery backup unit provides sufficient emergency runtime power to allow for safe closure of open files and proper shut down of electronics when an outage occurs.In addition,it safeguards electronics from commonly occurring power surges caused by storms,activity on the power grid, or high-powered equipment turning on and off. 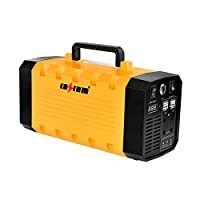 How to check if the generator is fully charging? 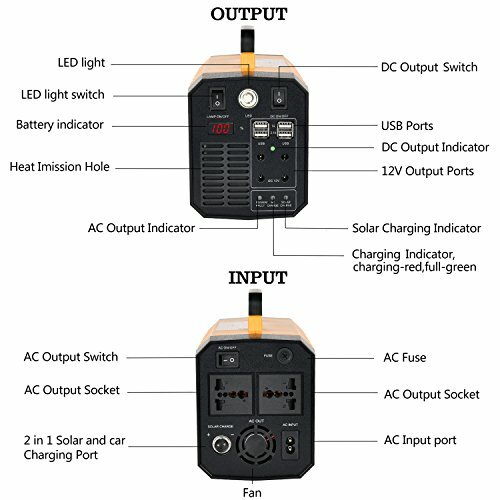 Our product usually demands the AC charging time of 4 to 6 hours(Solar charging need more time based on solar energy) When the LED "%" up to 100%,you also need check if the LED "AC CHARGE" or "Solar Charge" turned to green,then it indicates fully charged. *AC output is 110V only. If the product leaves unused for a long time, the product will also discharge gradually. 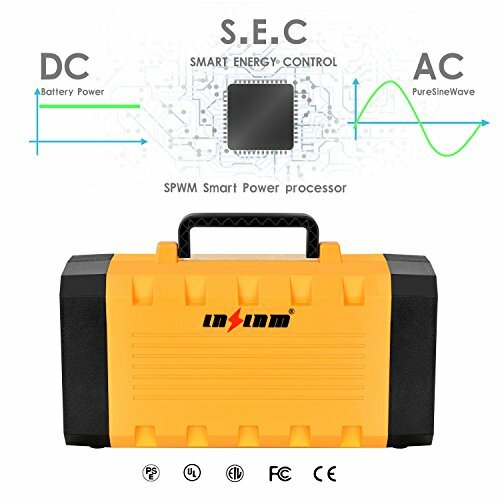 Moreover, if you use the products which starting power of energy storage power is bigger than 500W, it causes the circuits being protected, and it is also designed for preventing . It need AC charging restart it. 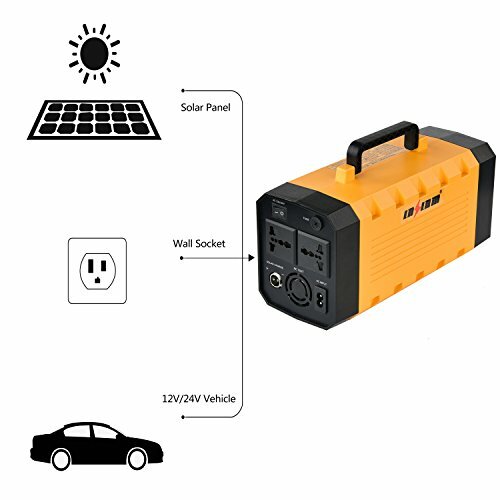 3 WAYS CHARGING: Refuels this generator by DC power from a 12V/24V car, AC power from home wall outlet and from solar power panel(16-2P Aviation Port) , especially using LNSLNM® Solar Panels to charge for longer runtimes. VERSATILE OUTPUT: Rated 500W,Peak 1000W,2*110V AC outlets, 4*12V DC ports up to 10A, 4*USB charging ports up to 6.2A with LED light. 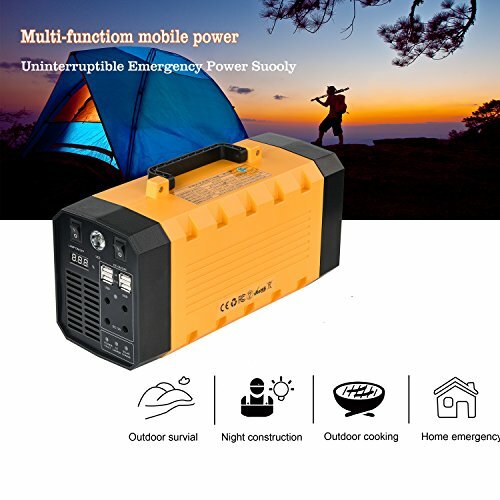 USE AS OFF-GRID POWER SUPPLY OR POWER BANK: You need a long time standby AC/DC power supply for your outdoor activities. 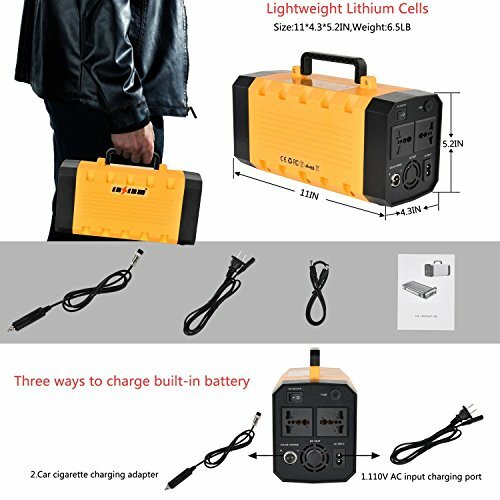 With large capacity of 12V 26Ah / 288WH rechargeable lithium battery, it lets you easily reach the AC power, DC power everywhere anytime for your kinds of device. And the LED light can be used as a torch outdoor. USE AS ON LINE UPS: It provides battery backup and surge protection for desktop computers,workstations,networking devices and home entertainment systems. Safeguards valuable documents, photos, videos, and music files from loss or damage due to power fluctuations and surges as well as uncontrolled equipment shutdown caused by power interruptions. WHAT YOU GET: LNSLNM® UPS-500AD Muti-functional Portable Uninterruptible Power Supply,AC Adapter Cable,DC Cable,Car Charging Cable, Solar Charger 16-2P Aviation Connector (Not include Solar Panel) ,User ManualCharger, our worry-free 18-month warranty and friendly customer service.